THE CHASE CONTINUES – Lucifer’s search for power and influence in a vessel lands him in the White House. 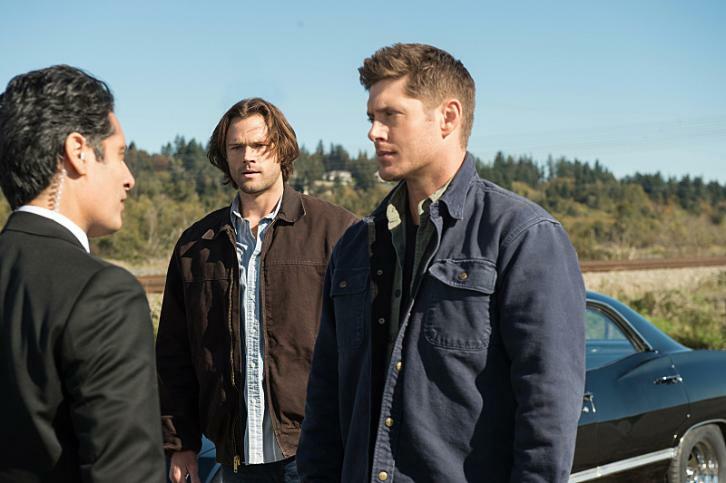 The President of The United States (guest star David Chisum) unknowingly makes a deal with the devil, leading Sam (Jared Padalecki), Dean (Jensen Ackles), Castiel (Misha Collins), Crowley (Mark A. Sheppard) and Rowena (guest star Ruth Connell) to band together to fight the Dark Lord. Directed by Phil Sgriccia the episode was written by Eugenie Ross-Leming and Brad Buckner (1208). Original airdate 12/8/2016.